Harrison Ford. Are you there? This weekend’s release of “Morning Glory” painfully underscored Ford’s marginality. The actor plays a grizzled, serious journalist who’s forced, through the unique power of Hollywood cause-and-effect, to take a job as a bantering morning host. The comedy-drama about the state of the news business was marketed heavily using Ford’s name and visage, and the actor gamely went on the likes of “The Late Show With David Letterman” and “Jimmy Kimmel Live” to promote it. For all the critical jibes, Ford is actually not bad in the role, stalking around with a dour face while doling out digs to his co-anchor like, “Do they have rehab programs for bitter beauty queens with self-esteem issues?” But few, apparently, wanted to see him do that. The movie failed to reach even $10 million in domestic box office this weekend. If you show some chops but no one is there to see it, did you really show them? What’s most disappointing about “Morning Glory” is that, after a decade without a comedy, Ford’s turn in something more spry was supposed to mark a new chapter by getting him back to his crowd-pleasing ways. But the movie’s disappointing performance adds one more nail in a coffin that’s been enveloping Ford’s career, “Buried”-style, for years. The actor has been striking out repeatedly as the heroic action figure and didn’t fare better when he went somber as a medical miracle worker in “Extraordinary Measures” earlier this year. Now it turns out we don’t want to see him in a comedy either, not even when he’s playfully riffing on his own taciturn persona. In his heyday, Ford was much more than an action hero, of course; he was winning over audiences with dramas such as “Regarding Henry” and even gaining decent notices in romantic comedies like the “Sabrina” remake — exactly the kinds of roles he should be excelling at as he nears 70 and can’t leap into waterfalls anymore. Some would say that this is all a function of bad choices and that, to salvage his career, the actor should go back to action roles, maybe self-deprecating ones. (The Jack Ryan reboot is a natural candidate). The one time he did that in the last few years, after all, was with “Indiana Jones and the Kingdom of the Crystal Skull,” and the fans turned out. But with the bad taste that movie left in some mouths, it’s hardly clear that would work either. In a sense, Ford has had the opposite career of his “Star Wars” costar Mark Hamill. Unlike Ford and his prolific output, Hamill hasn’t been in a major motion picture in more than two decades. That’s not exactly Hamill’s own choice, but it’s had an oddly positive effect on his reputation. While Ford’s series of poorly received movies has lately relegated the actor to self-parody, Hamill has paradoxically remained in a good pop-culture place, his image unravaged by time or bad roles. Ford next stars in the science-fiction-western hybrid “Cowboys & Aliens,” a movie that stays close to his trademark action heroism but branches out in enough new directions that we might be willing to embrace him again. He should hope we do — he’s running out of genres to come back with. 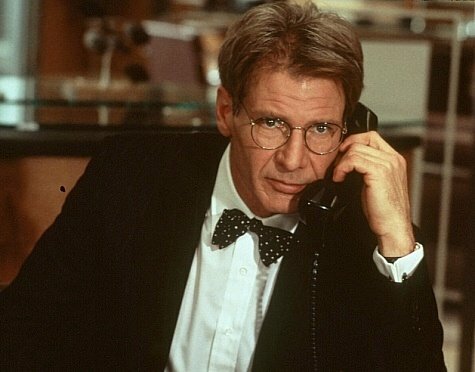 I love Harrison Ford, as I think he’s got great charisma, but I don’t think he’s actually a great actor. He’s very ‘hamy’ in many performances and quite OTT in the thrillers & dramas, but he’s always welcome to join me for a beer!